Same crap buyers will get with the upcoming Snapchat IPO, I am betting, or what they got for the Alibaba IPO, or many other crap that has come to the market. FOMO,OPM, and finally NIRP will take care of things. And don’t forget, The Muppets. Exactly. That was my though as well. Don’t forget to add TESLA , Hyperloop , Solar City , SpaceX et al – ad nauseam to the mix . Fools lining up in droves to invest in Musk’s misadventures as all continue to lose millions every month despite a host of Federal subsidies , guaranteed loans , grants , tax credits/breaks/incentives etc . Sigh … lets face it .. be it real estate , the stock markets etc logic and common sense have got straight out the window replaced by a Potemkin Village like delusion of grandeur and unlimited growth the source of which I have no clue . I don’t believe that, the Saudis have declining reserves, the idea that they keep growing year by year is a scam. The US is in on the scam, because the US dollar price is based on Saudi oil. Reserves are developed and added to incrementally, they are not inventory never to be added to. Do we believe that there will be no future additions to Saudi reserves? That there will be no further exploration or development? This was the mistake in the late ’70s, when forecasts were presented in the media, based on data from analysts, that claimed we would run out of oil in 1987. An analogy would be to take an inventory in a department store, and demonstrate that by reducing inventory by annual sales, that the store would run out of goods and be out of business in x number of years. Yet the full, striking import of the report, concerning the world’s permanent entry into a new age of global oil decline, was never really explained. The report didn’t just go against the grain that the most urgent concern is ‘peak demand’: it vindicated what is routinely lambasted by oil majors as a myth: peak oil — the concurrent peak and decline of global oil production. Headquarted in London, UK, HSBC is the world’s sixth largest bank, holding assets of $2.67 trillion. So when they produce a research report for their clients, it would be wise to pay attention, and see what we can learn. Between 2016 and 2020, non-OPEC production will be flat due to declines in conventional oil production, even though OPEC will continue to increase production modestly. This means that by 2017, deliverable spare capacity could be as little as 1% of global oil demand. The HSBC report examines two main datasets from the International Energy Agency and the University of Uppsala’s Global Energy Systems Programme in Sweden. The latter, it should be noted, has consistently advocated a global peak oil scenario for many years — the HSBC report confirms the accuracy of this scenario, and shows that the IEA’s data supports it. The rate and nature of new oil discoveries has declined dramatically over the last few decades, reaching almost negligible levels on a global scale, the report finds. Compare this to the report’s warning that just to keep production flat against increasing decline rates, the world will need to add four Saudi Arabia’s worth of production by 2040. North American production, despite remaining the most promising in terms of potential, will simply not be able to fill this gap. Business Insider, the Telegraph and other outlets which covered the report last year acknowledged the supply gap, but failed to properly clarify that HSBC’s devastating findings basically forecast the longterm scarcity of cheap oil due to global peak oil, from 2018 to 2040. The report revises the way it approaches the concept of peak oil — rather than forecasting it as a single global event, the report uses a disaggregated approach focusing on specific regions and producers. Under this analysis, 81% of the world’s oil supply has peaked in production and so now “is post-peak”. What’s worse is that when demand growth is taken into account — and the report notes that even the most conservative projections forecast a rise in global oil demand by 2040 of more than 8mbd above that of 2015 — then even more oil would be needed to fill the coming supply gap. But with new discoveries at an all time low and continuing to diminish, the implication is that oil can simply never fill this gap. Oil discoveries have collapsed. And even when oil was over $100 activity was weak. It does look like there is plenty of oil around untapped reserves exist in Saudi Arabia, Iraq, elsewhere in the Middle East and Iran in particular, Mexican Gulf, East Siberia, Kazakhstan, Alaska, Artic Sea, Venezuela and Canada. But on the other hand the conventional oil production seems to have peaked at 74 bpd and everything else will have to come from unconventional sources, off-shore, etc. These sources will require much higher prices. And despite push to renewables, electrification and gas oil demand is likely to grow just for the reason that there will probably be another billion people rising to the level of the “golden billion” and another billion to where that next golden billion is now. The decline of 5% is about 4 bpd annually that need to be replaced and 20 bpd over 5 year period. That is a lot. The problem, however, may be in the fact that the decline rates may actually become much higher with some mature fields in China, North Sea, Mexican Gulf and elsewhere being simply shut down. If this overlaps with spike in demand due to the combination of monetary stimulus, rising living standards in the developing world (Asia in particular) and some major supply disruption (as was the case with the previous spike), the scene will be set for another spike within two to fours years. The oil producers should be ready for that to benefit. Oil was once, long ago, quite easy to get from shallow wells, and at very low cost; cost being defined as energy needed to acquire versus energy gained after processing. Today, we need to spend a lot of energy to get oil out of the ground. While the amount of energy needed to extract varies widely based on geography, this cost is steadily rising. In less than a decade, it will be an energy stalemate in the sense that the cost to extract, transport, refine and distribute will equal the energy used to get the finished product. There will be oil underground, but will it cost as much to get as it is worth in the end? I do not profess to have any insight on this. Saudi’s supposed diversification away from oil requires some scrutiny. They have the huge petro chemical SABIC but it’s major feedstock is gas which it gets at subsidized prices and I have been told it would be in serious trouble if it paid market price. They are also branching into aluminium production, again made viable by a nice gas allocation. Similarly fertilisers – the ammonia ingredient from subsidized gas. Even the dairy business. The milk comes from cows reared in air cooled pens eating feed grown using water produced by desalination. The amount of water used per litre of milk produced is astronomical. Fake numbers for a fake company based in a country with a fake religion and no human rights. Handsome figures, but only unmaterialized dreams. As long as that oil is beneath the ground these number are just that, handsome figures. I wouldn’t pay full value just for handsome figures, i would demand also a proof that those handsome figures do materialize above ground in barrels in some realistic time span. With only handsome figures and benevolent promises with smiles i would discount current value well below publicly offered value. And that’s the risk discount in this case. One can promise anything but keeping the promises is totally different thing even if one has good and honest intentions behind promises. Life is ruthless and unforgiving even for best intentions. I have read the 261 billion barrels of oil number for over 40 years. This was the number touted as early as 1971! Do they mean to say that the kingdom’s oil reserves are unchanged over a 45-year time frame? I understand that the reserves do get replenished by new drilling and expanding the basins, but to present the same number over such an extended time frame sounds ludicrous. Perhaps Wood Mackenzie should have questioned that number. On another note, what exactly is Saudi Arabia selling? Are they including the oil fields as part of the deal? I was informed last year that they were only selling 5% of their refining operations, since their law currently forbids selling the underground reserves, following the pattern of every other country in the Middle East; they couldn’t sell the land. In the past, they all would only lease the right to develop the oil, not the oil itself. Has this changed since last year? Not that I know. It is well known that in 2011 Wikileaks reported that the Saudi Aramco oil reserves were overstated by as much as 40%. As reported in the Guardian, Sadad al Hussini, former Saudi Aramco exploration chief, stated that “recoverable reserves are overstated by 300 billion barrels (Bbbl)” Many other oil analysts concur with this view. Saudi Aramco disputes this statement and insists that recoverable reserves are much higher than the skeptics contend. This paper will attempt to explain, in laymen terms, the oil reserve situation in Saudi Arabia, and investigate the accuracy of the Wikileaks claim. Present Reserves = Initial Reserves – Production + Discoveries. The last audited, published production and reserve calculation for Saudi Aramco was done in 1980 by BP. Production and reserve figures have been secret since then. BP calculated the proven recoverable reserves to be 260 billion barrels in 1980. This will be used for the Initial Reserves. Saudi Aramco states that the current, proven, recoverable reserves are still 260 billion barrels. Figure 1, below, from the USEIA, lists the annual and total oil production from Saudi Arabia from 1980 to 2015. The production since 1980 totals 110 billion barrels. 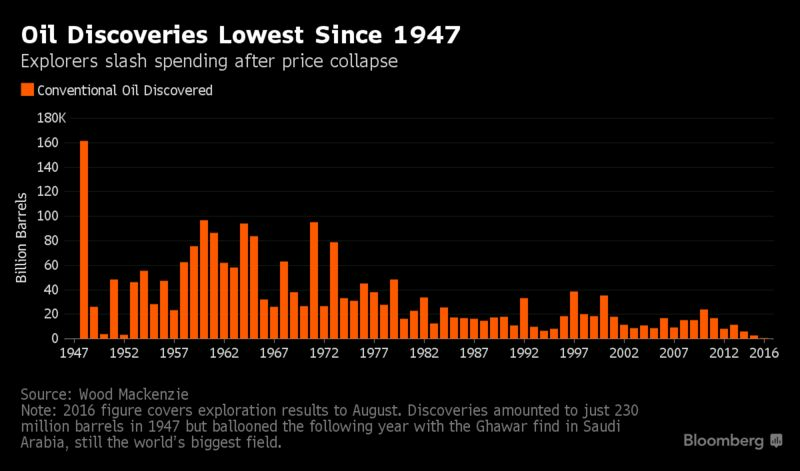 There has only been one significant oil discovery in Saudi Arabia since the 1960’s, the Hawtah Trend. The problem is that the primary producing formation, the “Arab D” formation, does not exist outside the immediate Gulf area. The Oil Drum reports that the only oil discovery in Saudi Arabia since the 1960’s is the Hawtah (Najd) Trend, discovered in 1988, which reportedly had an initial production rate of 400,000 barrels per day (BPD) from a group of nine small fields. Saudi Aramco added 30 billion barrels to their reserves in 1988 for the Hawtah Trend. It would take 2 centuries to produce 30 billion barrels at 400,000 BPD, and the field production had already declined by 50,000 BPD by the early 1990’s. Extrapolating this decline rate, I estimate the field had initial reserves of 5 billion barrels. Shaybah: Discovered in 1968 but was not brought online until 1998 at 500,000 BOPD. Production was increased to 750,000 BOPD in 2009. Reserves are reportedly 14 billion barrels. Using typical decline curves, I estimate the field has proven recoverable reserves of 2 billion barrels. Khurais: The Khurais field was discovered in 1957 and shut down in 1961. The oil reservoir had little pressure and required water injection to initiate production. In 2009, water injection was initiated which increased production to 1.2 million BOPD. Aramco assigned 19.4 billion barrels of reserves to Khurais. Using a typical decline curve, I estimate the proven, recoverable reserves of this field to be 3 billion barrels. Manifa: Discovered in 1957 but shut down almost immediately because the oil was extra heavy and contaminated with H2S and vanadium. The field was put on line in April 2013 and was reportedly producing 900,000 BOPD in 2014. Aramco states that the production rate will increase to 1.4 million BOPD. Aramco assigned 11 billion barrels of reserves to Manifa. Using a typical decline curve, and an initial production rate of 1.4 billion BOPD, I estimate that this field has proven, recoverable reserves of 8 billion barrels. In 1988, Saudi Aramco increased their reserves by 70 Billion barrels for “technology improvements”, like horizontal drilling. The reserve number is suspect and politically motivated, according to the Oil Drum. Horizontal drilling in the KSA oil fields would only increase the short term production rate, not the reserves. It is more likely that the reserve increase was politically motivated since Aramco was negotiating with OPEC for an increased share of production. I estimate the reserve additions due to technology improvements to be zero. All of my reserve estimates are very rough since there is very little public information available. However, I think my estimates are closer to reality than the numbers released by Aramco. Reserve additions since 1980 are therefore 5+2+3+8=18 billion barrels. Aramco still estimates the remaining proven, recoverable reserves to be 260 billion barrels, despite producing 110 billion barrels since 1980 and having few reserve additions. My rough estimate is therefore 35% less than the stated Aramco reserves. This is close to the reserve number reported by Wikileaks, who stated that reserves were overstated by 40%. A number that is more important than reserves is the sustainable production rate. The sustainable production rate has a problem called “Ghawar”. The Ghawar field was discovered in 1948, and is by far the largest oil field in the world and is 3 times the size of the second largest oil field in the world. The field has had a water production problem since the 1970’s and is nearing the end of its’ producing life. The producing formation is a carbonate (limestone) called the “Arab D” formation, with a thickness of 250 feet. The formation is in the shape of an elongated dome with a length of 174 miles. Oil occupies the higher elevations of the dome. Salt water occupies the lower elevations. The field is underlain by an active aquifer which fills the lower elevations of the reservoir with water as the oil is produced from above. This helps to sustain the reservoir pressure. The Ghawar field has produced 5 million BOPD for decades and continues to produce 6% – 8% of the world’s oil production. The Aramco engineers employed a unique method of injecting water into the aquifer along the periphery of the field during the primary production phase. Water injection rates are 8 million BWPD in Ghawar to sustain oil production of 5 million BOPD. A total of 12 million BWPD is injected into all Saudi oil fields in this manner to sustain reservoir pressure, according to the book, “Twilight In the Desert”. Most Saudi oil fields were producing large volumes of water by the end of the 1970’s. The Aramco engineers began an aggressive recompletion program to reduce the water production. When a well starts producing water, the water has a tendency to “crowd out” the oil due to waters’ lower viscosity. Most of the producing wells had an “open-hole” completion, where there is no production casing across the producing formation. Aramco ran production casing into many wells and then perforated the upper levels of the oil reservoir in an effort to produce the oil without water. This resulted in water cuts being reduced only slightly, according to “Twilight in the Desert”. In the 1990’s, the original vertical oil wells were abandoned and replaced by new horizontal wells. The new wells were drilled horizontally in the upper elevations of the oil reservoir, to keep the wells away from the encroaching aquifer. Aramco engineers had published articles through the Society of Petroleum Engineers for decades, outlining the production problems and their remedies for controlling the problems. Each article in itself does not indicate a significant, country-wide problem. Matt Simmons was the first to read all the articles and piece together the puzzle of the Saudi Arabian oil fields. He realized that maintaining the oil production has been a constant struggle, over a period of decades, involving the deployment of substantial capital and the employment of state-of–the-art technology. 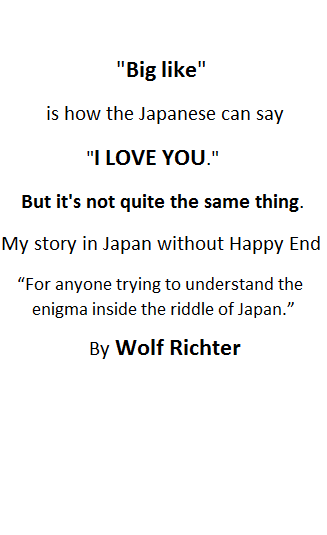 This was covered in detail in the book “Twilight In the Desert”. The Oil Drum also estimated a decade ago that the aquifer was beginning to encroach into the upper levels of the reservoir. When the water level reaches the horizontal wells, the individual wells will “water out” in a short period of time. As the water level works its’ way up to the upper elevations of the reservoir, the production rate will exhibit steep declines. It is of utmost importance to know the rate of decline that is expected, and when the decline will begin. One way to estimate the production decline rate for Ghawar is to examine the decline rates for other similar fields. Oil fields completed in limestone formations tend to have higher decline rates than sandstone formations. Limestone tends to have a lot of fractures, which become super highways for water. According to “Twilight in the Desert”, The Yibal field in neighboring Oman has the most in common with Ghawar. This carbonate reservoir also has an active aquifer, with additional water injected into the lower elevations, in the periphery of the field. When the original vertical wells began producing excessive water, the wells were abandoned and replaced with horizontal wells. Engineers were shocked at the steepness of the decline rates and had to substantially reduce the expected remaining reserves of the field. The annual decline rate from peak production is 22%. Zero Hedge reported that the Haradh field in Saudi Arabia declined by 60% between 2006 and 2010. This decline rate is 20% per year. In 4 years, 3.2 million BOPD of production will be lost, just from the Ghawar field. This problem will be replicated in many Saudi fields, and many others in the Arab Gulf area. There are no new oil fields in Saudi Arabia large enough to replace this production. When will the production rate begin to decline? If this were a conventional oil reservoir, this question could have been answered accurately in the 1960’s. The active aquifer complicates the reserves calculation, because the production rates and pressures have remained constant for decades. This is further complicated by the existence of the horizontal wells. If the wells were vertical, the increases in the water cuts could be extrapolated to the point where the well becomes uneconomic. When the water level reaches a horizontal well, production from that well will “water-out” completely in a short period of time. When the lower elevation horizontal wells start watering out, the water level will continue to rise and eventually water out the higher elevation wells. As the water level works its’ way up to the higher elevation wells, the field will experience steep production declines. One way to determine when this will happen is to drill observation wells to measure the water level. This data has to be input into a sophisticated computer reservoir model. Aramco has observation wells and a reservoir model that was developed in-house. Complicating the reserves calculation is the fact that field production data has been secret since 1982, as are the results of the computer model. This leaves us with having to make a guess. The Oil Drum reported that there are indications that the level of the aquifer is starting to encroach into the upper levels of the reservoir but it’s anyone’s guess when the production rate will begin to decline. My hunch is that it is no longer a long term problem, it is now a short term to medium term problem. If the production rate begins to decline in 10 years, the remaining reserves for Ghawar would be in the range of 25 billion barrels and not the 70 billion estimated by the IEA. •	There is ample evidence which indicates the Aramco oil reserves are significantly overstated, as reported by Wikileaks..
•	Proven, recoverable oil reserves are closer to 168 billion barrels than the 260 billion barrels claimed by Saudi Aramco. •	The sustainable production rate will decline rapidly when the level of aquifer in the Ghawar field approaches the higher elevations of the reservoir. It is not known when this will occur, but it is reasonable to assume that this is a short term to medium term problem. •	In order to properly price an Aramco IPO, reserves must be audited by an independent engineering firm.